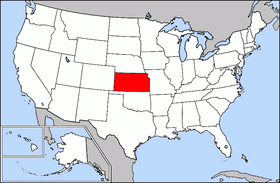 This is a listing of incorporated cities located in the U.S. state of Kansas. This page uses content from the English language Wikipedia. The original content was at List of cities in Kansas. The list of authors can be seen in the page history. As with this Familypedia wiki, the content of Wikipedia is available under the Creative Commons License.